To find the right security job or hire the right candidate, you first need to find the right recruiter. Ready to get started? Looking for a qualified candidate or new job? CSO's security recruiter directory is your one-stop shop. The recruiters listed below can help you find your next Chief Security Officer (CSO), Chief Information Security Officer (CISO), or VP of Security and fill hard-to-hire positions in risk management, security operations, security engineering, compliance, application security, penetration testers, and computer forensics, among many others. If you're a security recruiting firm, we want your information! Our goal is to provide the most complete recruiter resource available, but to do that we need your assistance. Please send the name, contact info and a few sentences about your company and its specialties to Michael Nadeau. Ready to get started? Click on the following link to download the directory as an Excel spreadsheet or browse the table below. About: Our mission is to be the reliable, skilled, efficient information security recruiters that any firm can call upon for help. With our team of security and recruiting experts, we assure understanding and execution of each client's needs. Specialties: Staffing for all types of information security positions, including executive/management level, for both full-time and contract roles. About: Access Talent Today, LLC. is a veteran- and woman-owned staffing firm that provides recruiting services in cyber security, IT and aerospace engineering. For over 20 years, we have provided contract recruiting services to private corporations, aerospace, DOD and government agency clientele. We also offer contract recruiters, on an hourly basis, for the sensitive requisitions our clients encounter. About: Acumin is an international cyber security and information risk management recruitment and executive search specialist. As part of the Red Snapper Group, we specialize in the provision of key cyber security and law enforcement skills across commercial and public sector clients. Specialties: Information security & risk management; governance & compliance; cyber security; penetration testing, digital forensics/intrusion analysis; technical security; investigations; cyber-crime prevention; policing; sales engineering; sales & marketing and executive management. About: Alta Associates is a leading executive search firm specializing in information security, IT risk management, governance, risk management, and compliance(GRC), and privacy. Alta performs retained searches for the most senior level executive roles in the industry and builds the teams that support them. Specialties: CISO, Chief Information Risk Officer, SVP Enterprise Risk, Chief Privacy Officer, SVP of IAM, SVP of Governance and Controls, SVP of Technology Risk, Managing Director of Information Security, Head of Information Security Architecture, SVP Security Strategy. About: Ambassador Solutions is an IT services company headquartered in Indianapolis, Indiana. We’ve been doing “whatever IT takes!” since 1989. We take great pride in building high-performing high-tech teams for our clients. Whether IT’s a C level executive search or filling gaps on the technical roster, ours is the ultimate people business. We don’t meet our clients’​ needs with whoever happens to be available. About: We work with a variety of organizations filling security roles from foundation to sales. Heavily focused on team fit and flexible options. We advise and help our clients hire dedicated cyber security talent in accordance with the highest industry standards. Specialties: CISO, Director of cyber security, sales & solutions engineers, security consultants, cyber security architects and analysts, cyber security account executives. We are always evolving and open to all verticals and projects. Argenta performs contingency or retained searches. About: A London-based specialist corporate governance recruiter, Barclay Simpson's Security and Resilience division fills permanent and contract security and resilience roles. We have a background of filling professional, leadership and management roles in a range of global locations. Specialties: Our security and resilience practice covers information security, cyber security, business continuity, information risk, corporate security, technology risk, resilience, investigations, forensics, and intelligence. Barclay Simpson has offices in New York, Singapore, Hong Kong and Dubai. About: Benchmark is an award winning national retained executive search firm based in Washington, DC & Dallas, TX that specializes in building boards and senior management teams. Our expertise and focus include security (cyber/corporate/homeland) and innovative technologies (cloud/analytics/IOT/mobile, etc). Specialties: Fortune 1000: CISO, CSO, Chief Risk Officer, Board Member (risk/cyber/security chair). Private Equity backed growth companies: CEO and all their direct reports. Venture Capital backed growth companies: Board Member (Federal/IC/DoD chair), President/GM Public Sector, VP Federal Sales, VP BD. About: Blackmere Consulting is dedicated to recruitment of information security professionals. We work as a trusted partner in your business with focus on quality, speed and cost effectiveness. Blackmere's solutions include direct hire, consultants, contractors and contract-to-hire employees. Specialties: CISO, Director of Information Security, information security auditors, malware engineers, cyber security researchers, control systems experts, identity & access management, network security, application security, mobile security, security compliance. About: We believe that the foundation of security is trust and that trust is essential to sustain enduring relationships. Through these trusting relationships, we strive to understand the needs of our clients which helps us to find talent with the proper technical and business background to fit the client's needs properly. Specialties: Recruiting and staff augmentation (short-term, long-term and contract to hire) for all information security roles including management and executive positions. Security consulting including mobile and web application security testing, network penetration testing, vulnerability assessments, scanning, secure code reviews, policy and procedure development, social engineering and other "difficult to label" projects. About: We are a retained, permanent placement executive search firm out of Miami Beach, FL, that is focused on placing IT security leadership positions. Specialties: CISOs, vice presidents of security, deputy CISOs, security directors and managers, analysts, specialists, and penetraton testers. Specialties: Governance, risk, and compliance; information security; internal/IT audit; business change; IT security; data protection; D- and C-level executive search. About: Culver has the resources to easily connect you with high-performing, digitally savvy IT professionals. We’re the information technology headhunters who can pair you with the IT employees you’re proud to introduce to your boss. About: The Curity team is made up of 8 InfoSec veterans: Lance Miller, Robb Reck, Robert Hansen, Jack Daniel, Eddie Mize, Richard Stiennon, Laz and Jacob Torrey. We find the right opportunities for the right talent. Specialties: If it touches InfoSec, we do it. CISO to Sales, and everything in between. About: Cyber 360 Inc. is a leading cybersecurity contract and fulltime staffing firm. We work with cybersecurity leaders, and their teams, struggling to hire skilled cybersecurity professionals to secure their systems and reduce data and privacy risk. Specialties: Cyber 360 is a cybersecurity contract and fulltime placement firm dedicated to identifying and hiring the top 10% of cybersecurity professionals. Our bench and virtual bench combine to provide our clients with access to thousands of top candidates for short or long term contract assignments. About: Based out of San Francisco, Cyber Advisers is a team of highly skilled recruitment professionals with industry certifications dedicated to cyber security. We are able to maintain a healthy bench of skilled and certified candidates due to our cyber security education and certification programs. About: Cyber Exec is a boutique executive recruitment firm headquartered in Boca Raton, Florida with offices in New York, Chicago, and Shanghai. We are retained and exclusive. We seek, search, and deliver excellence in the U.S. and around the globe. Personal service, speed, agility and scale if necessary. Specialties: C-Level and C-minus-one single searches: CEO, CTO, CIO, CISO, CDO, CFO, cyber wecurity. Board searches, high level global transfers, bulk assignments, speed sourcing and deployment, and custom, confidential work. About: CyberSN dramatically decreases the frustration, time and cost associated with job searching and hiring for cyber security professionals. Through our unique technology platform we connect highly trained cyber security staffing specialists with job seekers and employers. About: CyberStream Global is focused on supporting and transforming technology development, talent and operations. Our “Intelligent Talent Solutions” are individually designed to meet the high technology demands of an ever changing world. Our aim is to facilitate 21st century solutions for one of the world’s most acute skill shortage of any industry. About: Direct Recruiters is a relationship-focused search firm that assists IT and Cybersecurity companies with recruiting, acquiring and retaining high-impact talent for mission-critical positions. We provide executive search, recruitment and staffing services to fill IT and cybersecurity jobs in the security industry. About: Electus Cyber and Security is dedicated to introducing leading cyber and information security specialists to the highest caliber organizations in the UK. We guarantee a consistent and quality service from a consultant with a genuine understanding of the cyber security space and your requirements. About: Empiric was set up with the vision of being a consistently reliable and trusted agency and a leading global provider of specialist recruitment services. Offices in London, New York, Singapore and Glasgow. Specialties: Our Information & Cyber Security Practice provides permanent, contract and interim solutions across the full information security spectrum, including GRC, SOC, Engineering, Architecture, Threat & Vulnerability, CISO Exec Search, Intelligence and Incident Response. About: Evan Scott Group International is a retainer based executive search firm. The company has six partners, each with more than fifteen years of retainer based executive search experience. The firm is a member of The Homeland Defense and Security Council, Washington Chapter of USO and INFRAGARD. Specialties: CSO, CISO, VP Business Development, INTEL, CPB, ICE, SOCOM – All Civilian Federal Agencies, DOD, VP Sales, Federal and Commercial, VP Sales - State and Local, VP Business Development - State and Local, VP Marketing, CEO, President/COO, CFO, VP Government and Public Affairs General Council, VP and GM, Federal Operations. Specialties: Corporate leadership in cyber security (CISO, CTO, CSO) in verticals like pharma, banking, financial, media and technology, as well as professional dervices firms including Big 4, and aspiring tax, accounting and advisory building out their respective cyber security and risk practices. We help early stage startups with talent acquisition in sales, and product, as well as VC backed security software ventures in technology product development leadership recruitment. About:First Arrow Executive Search is a retained executive search firm. The firm and its managing partner bring 21-plus years of search experience within the cybersecurity sector and the federal and aerospace\defense sector. First Arrow has leveraged it's extensive federal cyber background to build a leading commercial cybersecurity practice. First Arrow also performs cyber advisory and board of director searches. Specialties: We focus on executive search for chief risk officers, CISOs, CSOs, VP- and director-level security leaders, and subject matter experts that focus on ethical hacking, vulnerability assessments, threat assessments, penetration testing, enterprise computer security, information dominance, risk management, cyber intelligence analysis, cyber intelligence research, system and network hardening and reverse engineering. About: First provides commercial and federal healthcare organizations world-class professional services. Our deep expertise in healthcare technology and operations is an important attribute when hospitals look to engage cybersecurity talent with an understanding of their unique cultural, regulatory, and technical challenges. Specialties: First specializes in health security assessments, security management solutions and core security services that stand in defiance with healthcare entities against unwanted internal and external threats and vulnerabilities. About: From CISOs to security architects, Fortify Experts Cybersecurity Executive Search helps companies find the right security experts to properly secure your digital assets with offices in Houston, Dallas, and Boston. About: Franklin Fitch is a specialist recruitment company for the following areas: network, information security, server, database. Specialties: Founded in 2011, Franklin Fitch is based in London and Frankfurt. We operate on the German and UK market. About: Ginkgo Search Partners is an international retained executive search firm operating in China and across Asia Pacific. We are managed in specialized industry practice groups and our expertise is covering senior management security positions. We are a true executive search and professional services firm, passionately devoted to your success. Specialties: We help to recruit mid to senior level executives across the whole security structure in Asia including positions such as CISO, CSO, VP-level and department heads of security. About: Glocomms is a niche brand of Phaidon International, which has won 40+ awards & is the third fastest growing agency in the U.S. The security & IT GRC team have the resources & specialization to deliver top talent — 300% faster than the avg. firm — to clients ranging from startups to top vendors and banks. Specialties: The team excels across all areas, including ethical hacking, research, forensics, audit, sales, engineering, analysis, mgmt. consulting, & C-level. Each recruiter focuses in 1 area, to provide the network, knowledge & highest level of service as part of our customized, specialist approach. About: Heller Search is a retained executive search firm specializing in senior information technology positions nationwide, in all industries. Our clients include Fortune 500 as well as mid-market companies, higher education, non-profits, small businesses and high tech startups. Specialties: Our recruiting is focused on the chief information security officer (CISO), chief information officer (CIO), chief technology officer (CTO) position, and as well as VP- and director-level IT executives. About: Henning Staffing, Inc., is a niche-focused cyber security retained search and staffing services firm. We serve organizations throughout the US by providing cyber security retained search, contained search, contract-to-hire, and contract staffing. Specialties: CISO/CSO; chief privacy officer (CPO); infosec, privacy and GRC leaders (vice president, director, architect, manager, program and project manager); infosec individual contributors (admins, analysts, engineers, pentesters) . About: Heron Recruitment is dedicated to helping companies build out teams of exceptional talent. We partner with innovative leaders in finding cyber, information, and network security professionals for career defining work. We are passionate about the industry, the tools and the expertise that goes into keeping data and systems safe. We work on a contingency placement basis nationwide. About: Hire Velocity's experienced team of recruiters works with you to develop a sophisticated multi-pronged approach to identifying, hiring, and retaining the talent you need to address cyber threats. We help you hone your strategic hiring goals, and we draw on our extensive network of IT talent and our large, proprietary candidate database to fill your open positions. We also work with you to meet the specific requirements of your organization, whether you’re seeking to fill a position that requires security clearance or an executive role that demands deep strategic insight. About: HireVergence’s talent acquisition specialists bring the value of years of diverse experience to your staffing and career development needs. As a full service IT staffing and recruiting firm with a focus on security, HireVergence is able to scale our offerings to meet our clients’ needs. Specialties: Information security: security analyst, technical manager, CISO, director of security, penetration tester. Cyber security: forensic analyst, vulnerability researcher, computer crime investigator. Network infrastructure: systems engineer, network engineer, network analyst. About: HJA Security was established in 1992 and recruits at all levels across all disciplines in the security industry, both nationally and internationally. The HJA Executive operation started in response to an increasing demand from clients and candidates for a service dedicated to senior positions. About: Based at the home of the code breakers, identifi Global is a team of highly skilled recruitment professionals, dedicated to cyber security. We pride ourselves on our candidate experience, which has been the foundation of our success. Specialties: We offer consultancy, solutions and managed services in the following specialist areas; Application Security, Compliance, Encryption, Internet Security, Network Security, Risk Management, Big Data, Cyber Crime, Human Factor, Malware, Payment Security, Internet Of Things, Disaster Recovery, Incident Response, Data Protection, Identity & Access Management, Managed Services, Penetration Testing, Cloud Security, Digital Forensics, Mobile Security, Privacy, Change & Transformation, Project Management. About: Identify offers a full-service security staffing team to service our customer’s information security needs. Our focus is around security drivers, security architects, security engineers, and security analysts. We have a deep understanding of application security and secure software development. Specialties: We have eight years of experience understanding cybersecurity secure software ecosystems from product to enterprise and three years of secure software experience identifying builders, breakers, defenders and SMEs who are a blend (web, mobile, cloud, embedded, and IoT). About: InfoSec People provides specialist recruitment services and consultancy solutions in the information security, cyber and risk management sectors. Based in Cheltenham, UK, we place experienced and senior cyber security personnel with clients ranging from blue chip corporates to security SMEs. About: Intercast is a recruiting firm dedicated to servicing the cyber security industry. We exclusively recruit talent for vendors, VARs and solution providers across North America. That is our niche. We are the only recruiting firm in Canada solely dedicated to the security industry. Specialties: Full and contract staffing for all types of positions and within all sectors of the cyber security industry: security engineers, network security architects, pre/post sales engineers, account executives, product managers, incident response, threat intelligence and CISOs. About: We are exclusively dedicated to bringing superior information security talent to our clients. 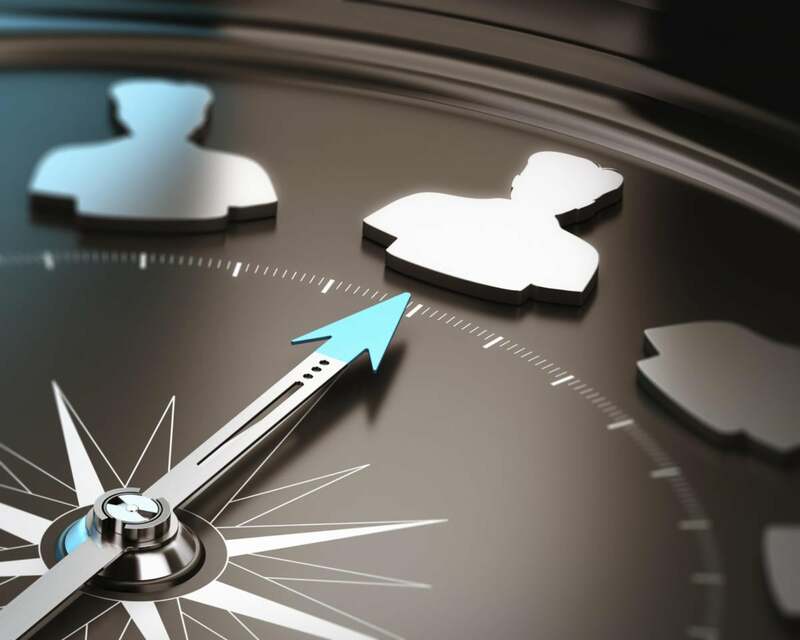 More than just a search firm, ISE® Talent serves as a trusted partner in identifying, evaluating, recruiting, and presenting top level candidates that fit our clients’ unique requirements. Specialties: ISE® Talent specializes in executive-level and specialty-type leadership retained search, team-level contingency searches, emerging specializations, and critical security skillsets that translate across all industry verticals. About: Kaye/Bassman's security recruiting practice specialises in identifying, attracting and acquiring high calibre individuals for companies throughout the security industry worldwide. Specialties: Our expertise ranges from board level to mid-level management professionals who specialize in sales, engineering, management, product development for security manufacturers, integrators, distributors and service providers. Our experienced team is comprised of search consultants who have lived and worked in the United States and Europe, enabling us to offer a truly global security industry market awareness and presence. About: Kirby Partners is a leading executive search firm specializing in the recruitment of senior-level cybersecurity and technology professionals throughout the United States. For the last 29 years, top healthcare systems, consulting firms, and corporations have relied on Kirby Partners to recruit leaders for their strategically significant positions. Kirby Partners has received some incredible recognition for its work including earning a spot on Forbes’ “America’s Best Executive Search Firms” list. About: KnownFour is a UK and Ireland based specialist information security recruiter. We combine our deep IT knowledge and dedicated team with a rigorous screening process, ensuring that each candidate we supply is both technically competent and has the highest ethical standards. Specialties: We supply permanent and contract professionals across the whole security structure: Analysts & consultants, network security, Information Security Officer, cryptology, penetration testing, ethical hacking, IT Security Director, threat & vulnerability specialists, cloud security. About: L. J. Kushner and Associates, LLC is an executive recruitment firm specializing in the recruitment of management, technical, and sales professionals. Clients include Fortune 2000 companies, information security product companies and service providers, and enterprise software companies. Specialties: CSO, CISO, IT risk management, information security architects, governance and compliance, technical security subject matter experts (software security, application security, network security, identity and access management), penetration testers, and computer forensics. About: LenznerGroup specializes in executive search and consulting services in security and technology risk management. LenznerGroup is recognized for partnering with Global 500, Fortune 1000, professional services and private sector organizations to recruit vetted, highly sought talent. Specialties: Enterprise security, technology risk & compliance, privacy & mobility, cyber law, policy, digital investigation, forensics & incident response. About: As a U.S. veteran-owned & operated premier executive search and placement business, we are your greatest source of top talented leaders in the security management, loss prevention, personal protection or risk mitigation fields, enabling clients to build an efficient and productive team. Specialties: We focus on identifying and presenting top-talented leadership candidates in security management, loss prevention, investigations, risk management and compliance roles for clients. We provide security management resume and coaching programs for candidates and job seekers. About: The McCormick Group today is the largest independent, Washington, DC-based executive search firm and has been ranked as one of the top 25 largest executive search firms in the country based on revenue. Specialties: The McCormick Group conducts searches for a broad range of security positions including: Chief Information Security Officer, Chief Security Officer, Chief Privacy Officer, Chief Risk Officer, as well as Architects and niched technical experts. About: McIntyre Associates is a retained executive search boutique specializing at the intersection of cybersecurity, enterprise SaaS & security analytics. Clients range from venture capital and private equity funded startups to Fortune 500 and DoD companies seeking to monetize defense technology. Specialties: We have quantifiable, successful experience in recruiting for all functions across the executive suite (CEO, CFO, CMO, VP HR, VP DevOps, etc.). Our highly specialized business model differs from most recruiting firms in that we deliver true management consulting value beyond recruiting. About: Michael Page Cyber Recruitment looks to build long-established networks in the security sector across the US with a balance between strong global reach and niche local knowledge. We are the job seekers and top-tier businesses go-to recruitment specialists across dozens of US metropolitan regions. We offer a true partnership approach to recruiting, using our specialist security experience to bring together the brightest minds in the market and the best employers for a successful match. Many of our consultants work through basic IT and security graduate-level courses and attend weekly/monthly seminars to gain the necessary expertise to produce high-quality candidate shortlists and more successful recruitment outcomes. We grasp how cyber security events or data loss can disrupt businesses, and know the specific skills companies need. About: MDS is dedicated to identifying advances in the IT Industry in an effort to help our customers attain their business objectives. MDS has core offerings that include but are not limited to cybersecurity (vulnerability assessments, penetration testing, compliance audits), managed services, NOC monitoring, and recruiting. About: Established as a security recruitment specialist, Momentum has offices in London, Stockholm and Dubai, UAE. Momentum Recruitment provides a quality focused recruitment service for the provision of security professionals across EMEA. Specialties: Momentum specializes in the recruitment of professionals across the following sectors: Corporate Security, Integrated Security Systems (Manufacturers & Integrators), Retail Loss Prevention, Sales & Business Development professionals, Engineering, HSEQ, Defense & Homeland Security. About: nclav (pronounced enclave) is an online marketplace designed specifically for companies who are searching for information security talent and for information security practitioners who are looking for a better way to find job opportunities. Specialties: Domain experience search: Security operations, security engineering, security assessments and testing, physical & environmental security, legal, industrial control, identity management & access control, human resources, governance & risk management, cryptography, compliance. About: Our specialist cyber security recruitment team provides contract and permanent cyber security professionals to specialist consultancies and end user clients across the commercial, public sector and defence markets. Our clients range from small start-ups through to large corporate businesses. We have 16 locations across the globe. About: Niche Talent Finders is a boutique security search firm that provides professional recruiting and staffing services for mid-market and Fortune 500 companies. We are passionate about helping companies identify quality talent. NTF is committed to serving clients and professionals in the general IT, cybersecurity, IT security, GRC and ERP markets. Specialties: Niche Talent Finders provides professional and executive search for cybersecurity and InfoSec talent within the financial services, advisory services, professional services, hi-tech and product industries. About: Nicholson provides analysis, operational and strategic professionals in sales, consultancy, management and senior management positions. Many candidates come from the military, intelligence or police service. About: North Starr provides expert solutions to believers & strivers by connecting a community of world-class talent who want to stand out from the crowd. About: Patriot Cyber Defense is an IT security consulting company that provides IT security staff augmentation services. The firm offers interim CISO support or deployment resource support for large security programs. About: PERM4 is a IT and cyber security recruiting firm that focuses exclusively on permanent positions for the German market. Specialties: Security architects, CISOs, testers, IT security managers, and regulatory compliance professionals across a wide range of industries. About: Pinnacle Placements is a nationally recognized search firm focused exclusively on filling security leadership and management roles. For 15 years, we have partnered with a variety of high-profile and prestigious organizations to efficiently tailor solutions for their unique security recruiting needs. Specialties: Our search practice specializes in CSO, CISO, corporate security (all levels), physical security, risk management, information security, cybersecurity, contract security, sales and business development. We perform retained or exclusive contingency searches. About: For over a decade, Pinpoint’s leadership has exclusively focused on the building blocks that are the foundation of today’s most competitive areas of technology. This dedication to our niche has fostered trusted relationships and enabled the strong conceptual knowledge needed to evangelize your value propositions. Specialties: Pinpoint has placed professionals at the manager, individual contributor, director, VP and C-suite levels. About: Potomac Recruiting is a premier boutique contingency recruiting firm specializing in searches for companies in the national security marketplace. We have extensive experience in both the corporate and government sides of the national security/homeland security field. Specialties: Our specialties include searches at the manager, director, VP and C-suite levels. We also staff hard to fill positions requiring security clearances (secret through TS/SCI with poly). About: RayboyIS is an executive search firm laser focused on cloud/infrastructure (security, networking, storage, compute, virtualization). We limit our clients per category so we can recruit top talent from their competition. Our number one mission in life is to identify, recruit, and close the candidates our clients want to hire. Specialties: Recruitment of executive management, sales, field engineering and marketing talent – commercial and federal – across North America. RayboyIS is solely focused on permanent hires with a variety of clients from Start-ups to F500. Our partnership model is flexible based on the client’s needs. About: Redbud places exceptional InfoSec/cybersecurity professionals with great companies. Our security certified experts cultivate relationships with highly placeable information security candidates. We work only in the InfoSec space so we are able to understand the unique requirements of open InfoSec positions and the qualifications of candidates. Specialties: We recruit InfoSec exclusively and specialize in placing candidates in positions, including, but not limited to, analyst, engineer, forensics, incident response, intrusion detection, architect, CISO, assurance/risk, penetration tester, ethical hacker, vulnerability management, and application security. About: Renaix Ltd, is an international recruitment and executive search consultancy, specialising in placing senior management, finance and audit professionals. We position talented finance managers, corporate auditors, financial analysts and financial controllers at Fortune 500, top European multinationals and large finance services institutions. With a network spanning Europe, Americas, Asia and MEA, our assignments range from introducing a newly qualified auditor up to placing a country or regional CFO. Specialties: Internal audit, external audit, compliance/internal controls, risk, consulting, cyber security, IT audit. About: Rita Technology Services is a 40-year-old IT staffing/recruiting and consulting firm specializing in placing cyber security experts. We understand how difficult it is to fill these positions because it is such a new labor category. There are no standard job titles and many cyber-pros wear many hats and don't always self-identify as cyber security pros. About: Romack is a strategic information security sourcing firm specializing in the support of major direct clients as well as industry leading solution providers. Our focus is building strategic partnerships allowing us to leverage our virtual bench of consultants. Romack supports global initiatives which adds value to clients and contracted consultants. About: Secure Recruiting International is a full-service recruitment firm specializing in networking, storage and information security, with corporate clients that range from pre-IPO to Fortune 500. Specialties: The company matches qualified professionals at every level including product sales, channel sales, systems sales engineers, security consultants and CSOs. About: With over a decade of working within the cybersecurity arena and having placed many of the most senior and specialized candidates within it, Secure Source is uniquely placed to offer information on market conditions and trends at a high level. Specialties: All areas of cybersecurity (technical and non-technical). Information security & risk management, governance & compliance, cybersecurity, penetration testing, digital forensics/intrusion analysis, technical security, investigations, cybercrime prevention, policing, sales engineering, sales & marketing and executive management. About: SecureITsource, Inc. is a professional services firm that recruits full-time and contract consultants with a focus on identity and access management and privileged access management. Services to our clients include staff augmentation for strategy consulting, project management, architecture & design, engineering, and post-deployment support for the identity products that we support. Specialties: Consultation, strategy, design, deployment, and training around the following solution suites: SailPoint, ForgeRock, CyberArk, Lieberman Software, CA, Oracle, RSA VIA, Bomgar, and Centrify, among others. About: Securitech was established in 2001 as a niche supplier of information security and risk candidates. The firm now recruits throughout the IT sector, and has a desk specializing in the placement of engineering staff. About: Security & Investigative Placement Consultants LLC is a retained recruiting firm that finds and places security management and financial investigative personnel. It has assisted corporate, industrial and manufacturing clients, financial institutions, insurance companies, and more. About: Est. 1997 with 3 wholly-owned international offices, SMR’s sole focus is support of an organization’s security & risk related functions. Successful recruitment of executive & professional level security practitioners in over 55 different countries. Specialties: Executive search & recruitment; organizational alignment; talent & market mapping; transition coaching & mentorship, in the field of security, information protection & cybersecurity, brand protection, investigation, business continuity & resiliency. About: We have been recruiting security talent since 1990. What separates us from most other firms is we actually direct recruit candidates as opposed to using job boards. We are able to locate, recruit and present talent that most companies never know exist. Specialties: We recruit mid to senior level information security and risk management talent. This includes individuals with hands-on technical skills, managers (all levels), C-level executives and any combination of this experience. About: SecurityRecruiter.com serves clients globally in the realm of information security/cybersecurity, corporate security, risk management, compliance, governance, privacy and business intelligence. JeffSnyderCoaching.com provides career advancement services. Specialties: Information security, cybersecurity, corporate security, converged logical/physical security, compliance, governance, IT risk management, enterprise risk management, privacy, business intelligence recruiting. About: Shield Security Sales Recruiters is a boutique search firm focusing on targeting highly qualified entry level sales to senior level sales professionals to fulfill the growing needs of the cyber security market. We actively recruit in the USA, Europe and Asia. Specialties: We specialize in all types of sales roles including sales executives, sales managers, sales and solutions engineers, pre- and post-sales consultants, cyber security account executives, sales directors, VPs of sales, VPs of business development and CEOs. About: SilverBull is a full-service IT and cybersecurity recruiting and IT staffing firm. From CISO and executive-level security experts to specialists in the latest threat mitigation techniques, we’ll fill your organization’s information security gaps. Specialties: As a full-service IT recruiting agency we don’t just identify the most highly-qualified candidates for our clients, we also help with: IT and cybersecurity recruiting, cybersecurity executive search, college recruitment process outsourcing (CRPO), and IT staffing. About: SSR Personnel is a recruitment consultancy & executive search practice dedicated to the security, fire, health and safety sectors. SSR provides a global recruitment network for the attraction and retention of talent. Specialties: Typical positions recruited include corporate security management, cybersecurity, security & fire systems product sales, retail and loss prevention, engineering & project management, investigations, audit, compliance, health and safety. About: Stratus Search is a leading technology recruiting firm focused on the placement of technical professionals in the software, mobile applications, energy, telecommunications and electronics industries. About: SVGTalent is a boutique retained executive search firm that partners with technology companies to fill mission critical roles in the security leadership space. About: Talentsec spends every day getting to know security talent. It’s our one and only focus. This laser focus allows us to not only understand the difference between good and great technical talent, but what culture they will thrive best in. Ensuring our clients see the top talent that will succeed with their team. We are the only talent firm with a primary focus on the top analyst to manager level security talent. Specialties: While our main focus is security architecture and operations, we help our clients locate technical talent across several other security domains including risk assessment, risk governance, threat intelligence and user education. About: With over three decades of experience, TD Madison and Associates operates on the premise that truly exceptional companies have truly exceptional leaders. We serve as a corporate executive partner who focuses on aligning leadership teams for long-term sustainability and continued success. Specialties: Although we serve a diverse group of industries, our primary footprint is in the cable and telecommunications sector. Technology and security are some of our recruiting specialties. About: Tiro Security is a boutique security staffing and professional services firm. We provide clients with a trusted partner who can staff them with top security talent, or take on external security projects completed by our in-house technical staff. Specialties: We focus on information security, servicing clients across various industries. We are very involved in the security community, serving on the board of CSA and as members of OWASP & ISSA, which is how we gain trust from and access to exclusive talent. About: True Search creates value for the global economy by finding and placing the most desirable C-level executives. The True Search team consists of industry and functional specialists, all of whom are committed to delivering exceptional service. About: Via Resource is a leading provider of information security recruitment and risk management services. We specialize in providing interim, contract and permanent staff who help ensure your business remains secure, compliant and protected against virtual and physical threats. Specialties: Information security, technical security, risk management, business continuity, audit, cloud computing, public sector, executive management, pre sales, sales and marketing. For CSO Security Recruiter Directory additions or changes, send email to Michael Nadeau at mnadeau@idgenterprise.com.